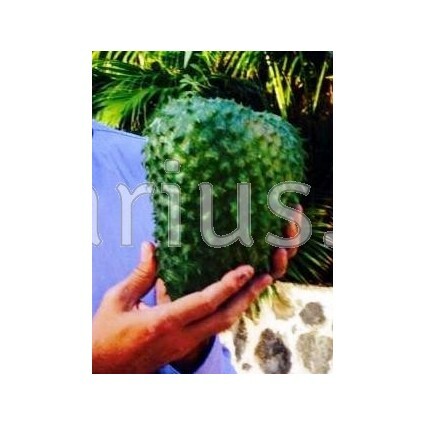 Guanabana, Graviola or Soursop is a tropical evergreen tree native to the Caribbean, Central and South America. 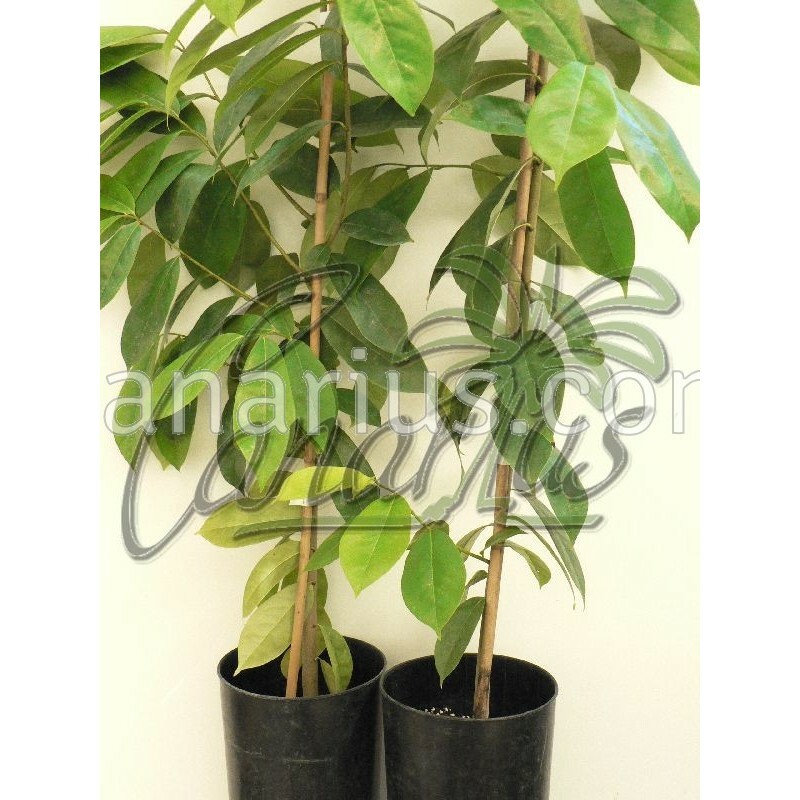 Annona muricata can reach up to 10 m (33 ft), with long oblong leaves and solitary flowers growing along the stem. The tree prefers warm climates and grows very fast in hot temperatures. 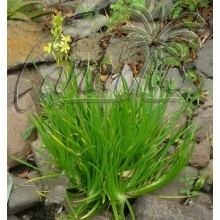 It can be grown in pots and will stay as a shrub but will seldom fruit. Protect from cold weather. It should be kept above + 6 C. It is very sensitive to frost. 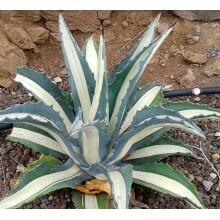 It is a very large fruit, popular in in Tropical American countries. 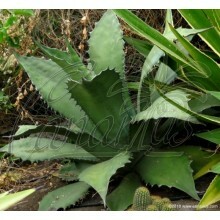 Its fruit has a thin, leathery dark green skin covered with soft spines. Its flesh is white, juicy and aromatic, with a slightly acidic flavour. Guanabanas are about 20 cm (8 ") in long and could weight 250 g (0,5 lb). The fruit is picked before ripening and is available almost all year-round. 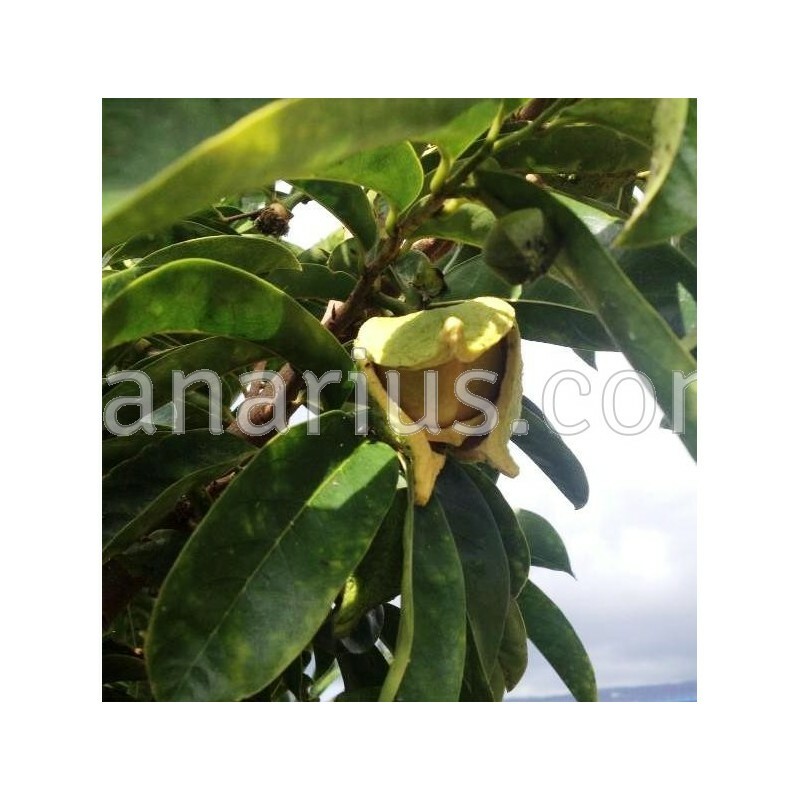 Annona muricata is widely grown for makling juice for drinks and is also used in desserts as meringues and mousses. Leaves are used to make a tea with a tasty flavour. Many parts of the plant are used medicinally but the seeds are toxic, as in most annona species. 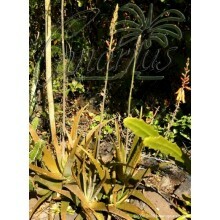 We offer a grafted potted plant, 30-60 cm tall, 14-18 months old. 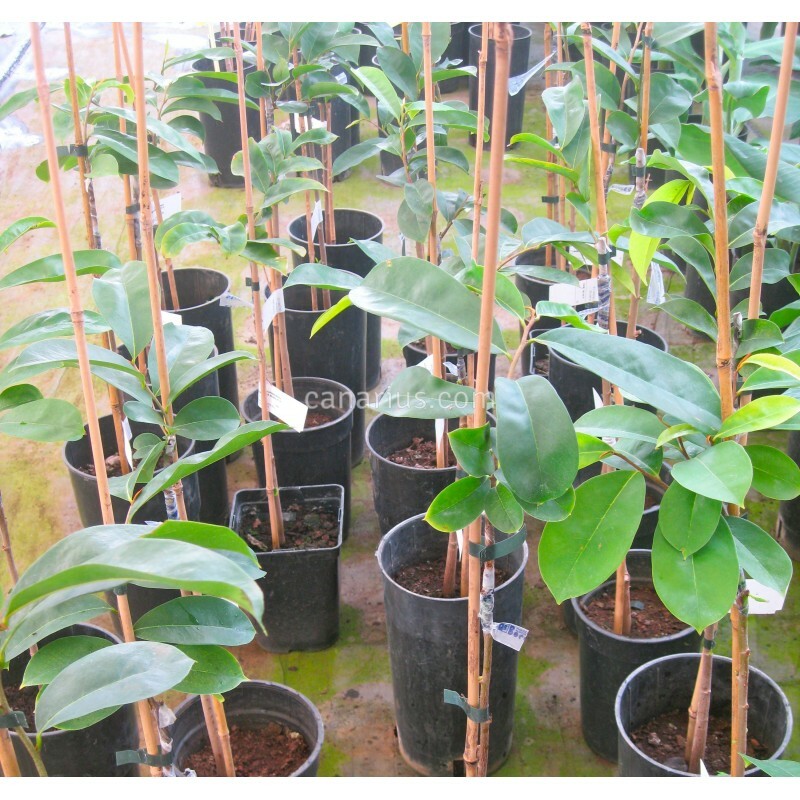 In this case, an adult scion of Annona muricata is grafted on a seedling of Annona muricata, in order make a plant that will flower and fruit sooner. We ship worldwide.